It’s the most wonderful time of the year, and the World of Coca-Cola is full of ways to celebrate. Starting today, the Atlanta attraction kicks off the holiday season with holiday decorations and additions to the visitor experience. On Dec. 2, the World of Coca-Cola also will re-launch its annual pass with new benefits. Outside the Worldof Coca-Cola, Pemberton Place is decked out in holiday lights, and the attraction’s icon bottle is lit up with a holiday color scheme. The World of Coca-Cola also is bringing back its life-sized holiday ornaments, including one painted by celebrated Atlanta artist Steve Penley. The scene is just as festive inside the attraction, with giant holiday Coca-Cola bottles and ornament trees. The Lobby monitors also welcome guests with “happy holidays” in languages from around the globe. Just in time for the gift-giving season, the World of Coca-Cola is enhancing the benefits of its annual pass starting Dec. 2. A great stocking stuffer for Coca-Cola lovers, the new annual pass will feature expedited entry into the attraction and unlimited visits for one year. At $32, the cost of an adult pass is the same as just two visits to the attraction. The annual pass also comes with multiple discounts, including $4 off general admission tickets for up to four guests per visit, a 15 percent discount at the Coca-Cola Store, a 10 percent discount on professional photography packages at the attraction and a 10 percent discount at Pemberton Café in Pemberton Place. Annual pass holders also receive a semi-annual newsletter including special member news, offers and events. The World of Coca-Cola Store can help you tackle that holiday shopping and find a gift for everyone on your list. The Store has a variety of Coke- and Atlanta-themed gifts, including holiday ornaments; scarves, hats and pajamas to help bundle up for the winter; eco-responsible gifts like T-shirts, jewelry and purses made from recycled Coca-Cola products; kitchenware and beverage accessories, collectible Coca-Cola bottles and more. Those with annual passes also can take advantage of their 15 percent discount at the Store. 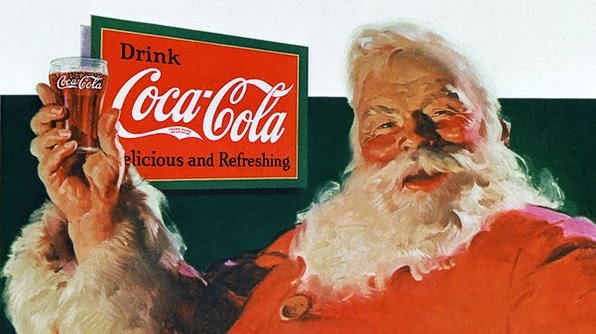 Now through Jan. 6, World of Coca-Cola guests can view a special holiday exhibit, “A Coca-Cola Christmas Celebration.” The exhibit features historic Sundblom Santa artwork as well as Coca-Cola holiday advertising and packaging. The World of Coca-Cola Taste It! beverage lounge now features samples of Gingerbread Coke® and Chocolate Cherry Coke for the holidays, with recipe cards for those who want to take home the flavor of these seasonal beverages. Fill a 16-ounce glass half full with ice. Combine all ingredients and stir. To find Monin brand syrup, go to www.moninstore.com. Sprite Zero Cranberry, the latest beverage from The Coca-Cola Company in stores through the New Year, also is available for sampling. In addition to visiting the Coca-Cola Polar Bear that is at the attraction year round, guests can see a short film in which the Polar Bear family speaks for the first time. Produced by Ridley Scott, “The Polar Bears” film reminds families to share happiness and come together during the holidays. Outside the 4-D Theater, guests can learn about the history of the iconic Coca-Cola Santa. They also can make memories of their own by stepping inside a classic Sundblom Santa painting and taking photos under the Christmas tree. Year round, the attraction’s Pop Culture gallery features a My Coke Story area where guests from around the world have shared their Coca-Cola stories. 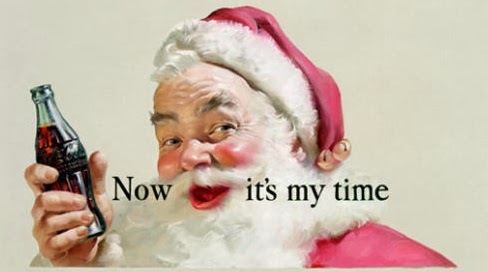 For the holiday season, My Coke Story also will highlight a holiday-themed story. Share your holiday photos at the World of Coca-Cola with us on Facebook, Twitter or Instagram using the hashtag #WOCCHoliday. Checkout the World of Coca-Cola’s holiday hours of operation here.